recommended for: Fans of Throne of Glass by Sarah J. Maas, The Orphan Queen by Jodi Meadows, and any of Tamora Pierce's Tortall quartets. I've waited on this review, because I fear I won't do the book justice. By now, you've heard of Truthwitch. The lines at BEA. The Witchlanders. The clans. At this point, you may be wondering to yourself whether a book this hyped can possibly live up to the legend. It was certainly a fear of mine, given how deeply I loved Something Strange and Deadly and how much I adore Susan as a person. But just pages into Truthwitch, I knew that I had found a new soul-twin. It's the kind of book that fills you with magic and light, with echoes of ancient adventures and nostalgia, with thrills and feels. Truthwitch is a sprawling, visionary heir to the long tradition of high fantasy, and an easy favorite. If you're a world junkie, look no further than the map. Susan has fashioned a vivid world as sprawling as Erilea, as intricate as Tortall. She enriches each nation with unique cultures and history, and spins between them tangled threads of alliances, betrayals, and political intrigues. There is the magic-hating Cartorra with its dangerous witch hunters. Nubrevna, an impoverished kingdom barely clinging to sovereignty. Marstok, a place of fire and mystery. And the Nomatsi, landless outcasts whose traditions are rooted deep in nature and legend. Even though you don't visit all these places, there's a sense of largeness that's lost in some fantasy books. A sense that there's a whole world moving behind the scenes. Within this world is one of the cleverest magic schemes I've seen in a long time. In Dennard's world, each witch has a power drawn from the six elements. Some witches have the full breadth of the element at their command--Windwitches, Waterwitches. Others, Wordwitches, Ironwitches, have subtler fields of control. Then there are the witches who deal in things unseen. Truthwitches who can feel lies. Threadwitches who see the invisible bonds between friends and foes, the truth of men's hearts. And the Voidwitches, mythical beings with access to oblivion. The multitude of different witcheries is fascinating and adds color to Susan's world--and plenty of challenges to its characters. Which brings me to the best part of the novel. On the scaffold of good worldbuilding is a group of vibrant characters. The four main POVs are woven smoothly together to create a tense and breakneck narrative. There's Safi, the Truthwitch, whose power is coveted for its political utility. Iseult, her best friend, who senses the Threads in people and tempers Safi's fire with coolness and reason. Merik, a poor prince who just wants a trade agreement, and finds himself drawn into Safi and Iseult's disaster. And Aeduan, the elusive monk who seeks Safi for a bounty, but whose true motives run deeper and darker. These four are supported by a textured cast of kings, friends, fighters, cultists, and bystanders, each with motives that threaten to shake the world. Our four narratives twine and tangle into the beginning of an epic that spans the world. It begins with Safi and Iseult getting themselves into trouble and catching a price on their heads. When their captors prove too numerous and dangerous, the only option is to flee. But looming larger than them is the Treaty that keeps the great empires at peace. A Treaty fragile and fracturing from all sides. While keeping Safi safe from those who would use her powers for ill, they must also contend with an ambitious pirate queen, a scheming empress, an ancient legend, and an insidious plague on magic that is creeping its way into the nations of the Treaty. A plague that heralds darkness from an invisible enemy, a threat not only to magic but to all the Witchlands. 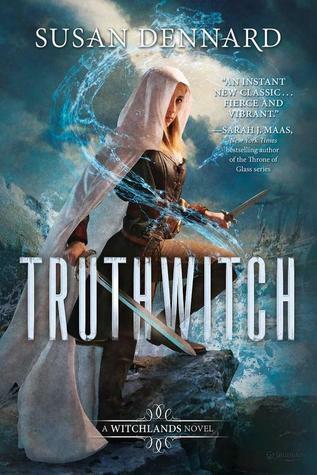 Full of magic, adventure, cinematic writing, deeply-rooted friendships, and badass heroines, Truthwitch is the epic beginning of a sprawling mystical saga--high fantasy at its sharpest. Truthwitch is a sprawling, visionary heir to the tradition of high fantasy, and an easy favorite. 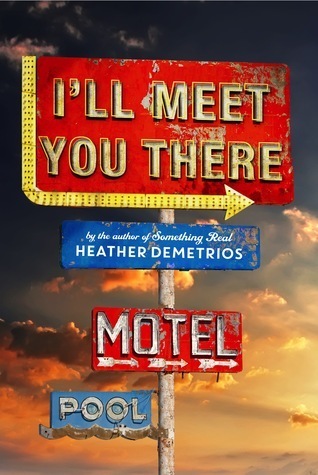 will i read this author again? Always. will i continue the series? I. Must. Have. Windwitch. Now. I got an esampler of the first 15 chapters, and was desperate for the rest - and then a copy arrived from the publisher and I AM SO EXCITED TO FINISH THE BOOK. Because what I've read so far is utterly epic. Gorgeous review, btw! Great review! I'm really looking forward to this one! By the way, I've nominated you for the One Lovely Blog Award!